91. The first work used in makrothyméi. This does not simply have to do with "enduring all things", because we find that idea expressed at the end of the seventh verse. Its meaning is clarified by the Greek translation of the Old Testament, where we read that God is "slow to anger" (Ex 34:6; Num 14:18). It refers then, to the quality of one who does not act on impulse and avoids giving offense. We find this quality in the God of the Covenant, who calls us to imitate him also within the life of the family. Saint Paul's texts using this word need to be read in the light of the Book of Wisdom (cf. 11:23: 12:2, 15-18), which extols God's restraint, as leaving open the possibility of repentance, yet insists on his power, as revealed in his acts of mercy. God's "patience", shown in his mercy towards sinners, is a sign of his real power. 104 Catechism of the Catholic Church, 1641. 105 Cf. Benedict XVI, Encyclical Letter Deus Caritas Est (25 December 2005), 2: AAS98 (2006), 218. 88. The experience of love in families is a perennial source of strength for the life of the Church. "The unitive end of marriage is a constant summons to make this love grow and deepen. Through their union in love, the couple experiences the beauty of fatherhood and motherhood, and shares plans, trials, expectations and concerns; they learn care for one another and mutual forgiveness. In this love, they celebrate their happy moments and support each other in the difficult passages of their life together...The beauty of this mutual, gratuitous gift, the joy which comes from a life that is born and the loving care of all family members - from toddlers to seniors - are just a few of the fruits which make the response to the vocation of the family unique and irreplaceable",103 both for the Church and for society as a whole. 102 Relatio Finalis 2015, 52. 101 Relatio Synodi 2014, 23. 99 John Paul II, Apostolic Exhortation Familiaris Consortio (28 November 1981) 38: AAS 74 (1982), 129. 100 Cf. Address to the Diocesan Conference of Rome (14 June 2015): L'Osservatore Romano, 15-16 June 2015, p.8. 94 Relatio Synodi 2014, 60. 96 Code of Canon Law, c. 1136; cf. Code of Canons of the Eastern Churches, 627. 97 Ponticial Council for the Family, The Truth and Meany of Human Sexuality (8 December 1995), 23. 98 Catechesis (20 May 2015): L'Osservatore Romano, 21 May 2015, p.8. 93 Relatio Finalis 2015, 64. 90 Relatio Synodi 2014, 57. 87 Catechism of the Catholic Church, 2378. 80. Marriage is firstly an "intimate partnership of life and love"80 which is a good for the spouses themselves,81 while sexuality is "ordered to the conjugal love of man and woman".82 It follows that 'spouses to whom God has not granted children can have a conjugal life full of meaning, in both human and Christian terms".83 Nonetheless, the conjugal union is ordered to procreation "by its very nature".84 The child who is born "does not come from outside as something added on to the mutual love of the spouses, but springs from the very heart of that mutual giving, as its fruit and fulfilment".85 He or she does not appear at the end of a process, but is present from the beginning of love as an essential feature, one that cannot be denied without disfiguring that love itself. From the outset, love refuses every impulse to close in on itself; it is open to a fruitfulness that draws it beyond itself. Hence no genital act of husband and wife can refuse this meaning,86 even when for various reasons it may not always in fact beget a new life. 81 Cf. Code of Canon Law, c. 1055 Sec. 1: "ad bonum coniugumatque ad prolis generationem et educationem ordinatum". 82 Catechism of the Catholic Church, 2360. 84 Second Vatican Ecumenical Council, Pastoral Constitution on the Church in the Modern World Gaudium et Spes, 48. 85 Catechism of the Catholic Church, 2366. 86 Cf. Paul VI, Encyclical Letter Humanae Vitae (25 July 1968), 11-12: AAS 60 (1968), 488-489. 75 Relatio Finalis 2015, 47. 77 Homily for the Concluding Mass of the Eighth World Meeting of Families in Philadelphia (27 September 2015): L’Osservatore Romano, 28-29 September 2015, p. 7. 73 Relatio Synodi 2014, 23. 74 John pauL II, Apostolic Exhortation Familiaris Consortio (22 November 1981), 9: AAS 74 (1982), 90. 75. In the Church’s Latin tradition, the ministers of the sacrament of marriage are the man and the woman who marry;70 by manifesting their consent and expressing it physically, they receive a great gift. Their consent and their bodily union are the divinely appointed means whereby they become “one flesh”. By their baptismal consecration, they were enabled to join in marriage as the Lord’s ministers and thus to respond to God’s call. Hence, when two non-Christian spouses receive baptism, they need not renew their marriage vows; they need simply not reject them, since by the reception of baptism their union automatically becomes sacramental. Canon Law also recognizes the validity of certain unions celebrated without the presence of an ordained minister.71 The natural order has been so imbued with the redemptive grace of Jesus that “a valid matrimonial contract cannot exist between the baptized without it being by that fact a sacrament”.72 The Church can require that the wedding be celebrated publicly, with the presence of witnesses and other conditions that have varied over the course of time, but this does not detract from the fact that the couple who marry are the ministers of the sacrament. Nor does it affect the centrality of the consent given by the man and the woman, which of itself establishes the sacramental bond. This having been said, there is a need for further reflection on God’s action in the marriage rite; this is clearly manifested in the Oriental Churches through the importance of the blessing that the couple receive as a sign of the gift of the Spirit. 71 Cf. Code of Canon Law, cc. 1116; 1161-1165; Code of Canons of the Eastern Churches, 832; 848-852. 72 Ibid., c. 1055 §2. 74. Sexual union, lovingly experienced and sanctified by the sacrament, is in turn a path of growth in the life of grace for the couple. It is the “nuptial mystery”.69 The meaning and value of their physical union is expressed in the words of consent, in which they accepted and offered themselves each to the other, in order to share their lives completely. Those words give meaning to the sexual relationship and free it from ambiguity. 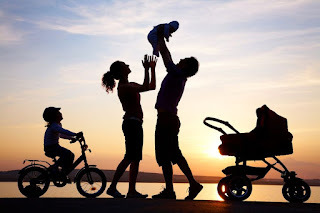 More generally, the common life of husband and wife, the entire network of relations that they build with their children and the world around them, will be steeped in and strengthened by the grace of the sacrament. For the sacrament of marriage flows from the incarnation and the paschal mystery, whereby God showed the fullness of his love for humanity by becoming one with us. Neither of the spouses will be alone in facing whatever challenges may come their way. Both are called to respond to God’s gift with commitment, creativity, perseverance and daily effort. They can always invoke the assistance of the Holy Spirit who consecrated their union, so that his grace may be felt in every new situation that they encounter. 69 Leo the Great, Epistula Rustico Narbonensi Episcopo, Inquis. IV: PL 54, 1205A; cf. hincmar of rheims, Epist. 22: PL 126, 142. 73. “Mutual self-giving in the sacrament of matrimony is grounded in the grace of baptism, which establishes the foundational covenant of every person with Christ in the Church. In accepting each other, and with Christ’s grace, the engaged couple promise each other total self-giving, faithfulness and openness to new life. The couple recognizes these elements as constitutive of marriage, gifts offered to them by God, and take seriously their mutual commitment, in God’s name and in the presence of the Church. Faith thus makes it possible for them to assume the goods of marriage as commitments that can be better kept through the help of the grace of the sacrament… Consequently, the Church looks to married couples as the heart of the entire family, which, in turn, looks to Jesus”.65 The sacrament is not a “thing” or a “power”, for in it Christ himself “now encounters Christian spouses... He dwells with them, gives them the strength to take up their crosses and so follow him, to rise again after they have fallen, to forgive one another, to bear one another’s burdens”.66 Christian marriage is a sign of how much Christ loved his Church in the covenant sealed on the cross, yet it also makes that love present in the communion of the spouses. By becoming one flesh, they embody the espousal of our human nature by the Son of God. That is why “in the joys of their love and family life, he gives them here on earth a foretaste of the wedding feast of the Lamb”.67 Even though the analogy between the human couple of husband and wife, and that of Christ and his Church, is “imperfect”,68 it inspires us to beg the Lord to bestow on every married couple an outpouring of his divine love. 65 Relatio Synodi 2014, 21. 66 Catechism of the Catholic Church, 1642. 68 Catechesis (6 May 2015): L’Osservatore Romano, 7 May 2015, p. 8. 72. The sacrament of marriage is not a social convention, an empty ritual or merely the out- ward sign of a commitment. The sacrament is a gift given for the sanctification and salvation of the spouses, since “their mutual belonging is a real representation, through the sacramental sign, of the same relationship between Christ and the Church. The married couple are therefore a permanent reminder for the Church of what took place on the cross; they are for one another and for their children witnesses of the salvation in which they share through the sacrament”.64 Marriage is a vocation, inasmuch as it is a response to a specific call to experience conjugal love as an imperfect sign of the love between Christ and the Church. Consequently, the decision to marry and to have a family ought to be the fruit of a process of vocational discernment. 64 John Paul II, Apostolic Exhortation Familiaris Consortio (22 November 1981), 13: AAS 74 (1982), 94. 63 Relatio Finalis 2015, 38. 61 Relatio Synodi 2014, 18. 60 Relatio Finalis 2015, 43. 59 Relatio Synodi 2014, 17. 65. The incarnation of the Word in a human family, in Nazareth, by its very newness changed the history of the world. We need to enter into the mystery of Jesus’ birth, into that “yes” given by Mary to the message of the angel, when the Word was conceived in her womb, as well as the “yes” of Joseph, who gave a name to Jesus and watched over Mary. We need to contemplate the joy of the shepherds before the manger, the adoration of the Magi and the flight into Egypt, in which Jesus shares his people’s experience of exile, persecution and humiliation. We need to contemplate the religious expectation of Zechariah and his joy at the birth of John the Baptist, the fulfilment of the promise made known to Simeon and Anna in the Temple and the marvel of the teachers of the Law who listened to the wisdom of the child Jesus. We then need to peer into those thirty long years when Jesus earned his keep by the work of his hands, reciting the traditional prayers and expressions of his people’s faith and coming to know that ancestral faith until he made it bear fruit in the mystery of the Kingdom. This is the mystery of Christmas and the secret of Nazareth, exuding the beauty of family life! It was this that so fascinated Francis of Assisi, Theresa of the Child Jesus and Charles de Foucauld, and continues to fill Christian families with hope and joy. 57 Relatio Finalis 2015, 41.